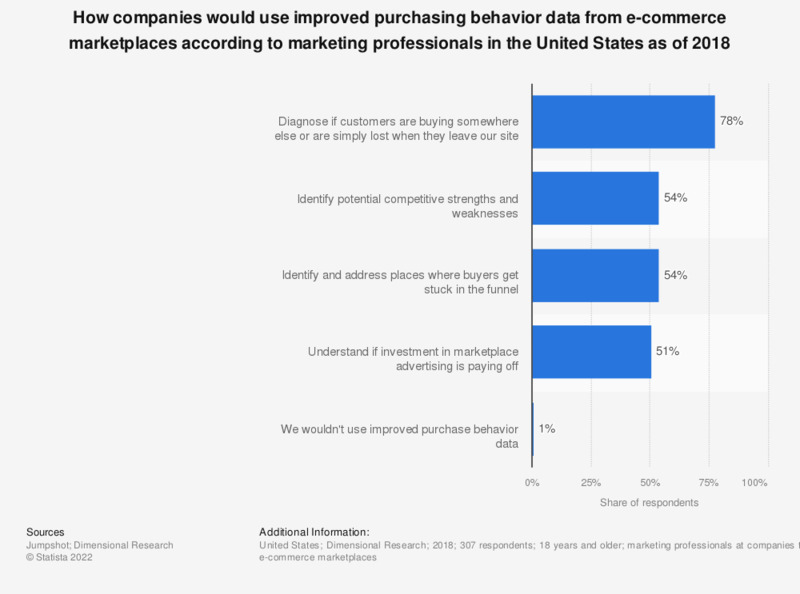 This statistic presents the most common ways how companies would use improved purchasing behavior data from e-commerce marketplaces according to marketing professionals in the United States as of 2018. According to the findings, 78 percent of respondents stated that if they could access improved purchase behavior data from e-commerce marketplaces they would use that data to diagnose if their customers are buying somewhere else or if they are simply lost when they leave their website. Only one percent of respondents stated that they would not use such improved purchasing behavior data, if the opportunity was there. Question: "If you could get improved purchase behavior data from e-commerce marketplaces, how would you use it?" Have the following brands gotten more or less appealing to you in the last 12 months?